Dental crowns are sometimes referred to as ‘teeth caps’. They’re a restorative technique designed to reconstruct damaged teeth that are beyond repair. In other words, a crown will cover a broken part of the tooth and restore its strength and function without appearing out of place. Crowns can also be used to reshape teeth that are uneven, and can rapidly improve the appearance of teeth that might have become discoloured due to fillings or natural decay. 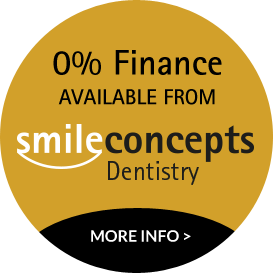 At Smile Concepts, we know how important your smile is. It forms part of your identity and can be a very sensitive issue. You will always have final say on your choice of restorative treatment, but we’ll also offer a helping hand along the way. Our team are expertly trained, and we offer cutting edge treatments including metal free ‘all ceramic’ crowns on both front and back teeth. These are more cosmetic and far less destructive than conventional crowns with a metal core. For tooth reconstruction that is natural looking, durable and functional, dental crowns are a great choice. To find out more about getting dental crowns in Solihull, or to arrange a consultation with a specialist, contact us today.